Seamlessly integrate your data and knowledge. 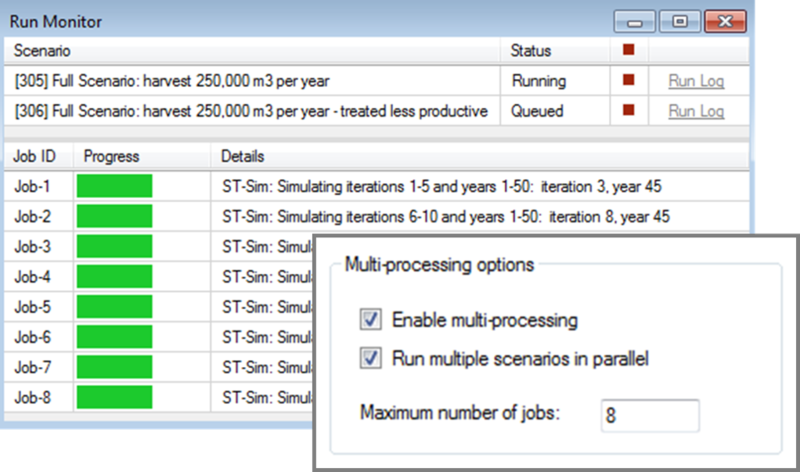 Syncrosim is free software that streamlines the process of analyzing your data. By taking care of the repetitive data management tasks, SyncroSim frees up your time for more important things. 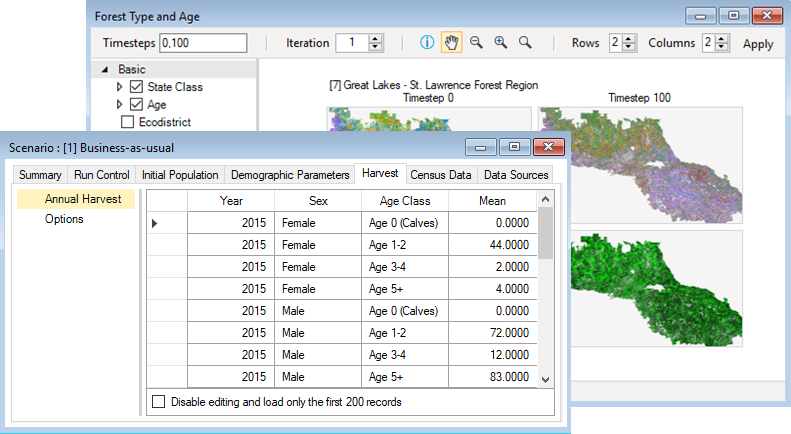 SyncroSim ties together your existing data from disparate formats, such as Excel, CSV, and GeoTIFF. No database is required – SyncroSim automatically structures your data files for you. Use your data to make predictions. SyncroSim allows you to chain together “models” – including existing off-the-shelf programs and scripts written in languages such as R, Python and C# – to transform your data into predictions. No longer are forecasts delivered by analysts as static reports. 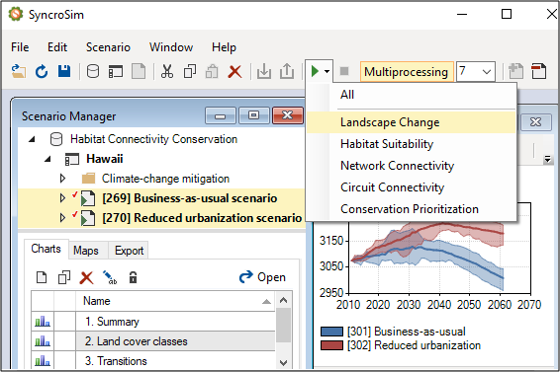 Through its unique, easy-to-use interface, SyncroSim allows non-technical users to define, run and track their own “what-if” scenarios using the original data and models. SyncroSim is specifically designed to handle big data, including support for cloud computing, multiprocessing, and large rasters.